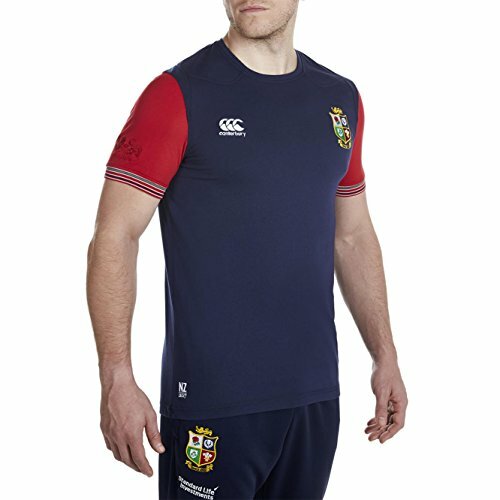 Show your support for the Lions at training, at home or in the stands with this British & Irish Lions 2017 Cotton Training T-Shirt made by Canterbury.This crew neck training tee from the British & Irish Lions 2017 kit range comes bursting with detail: from the contrast tipping on the cuffs and tonal Lions embroidery on the sleeve to the four-coloured rear representing the four unions, it can be worn in the gym by players or on the sofa by fans. The cut and sew shoulder seams provide a more dynamic fit than your standard tee. 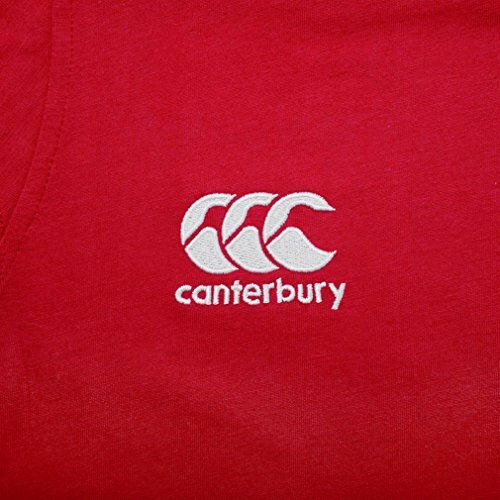 The red body with navy sleeves, the detailed crest and Canterbury embroidery combine to create an outstanding component of the Lions Tour wardrobe. 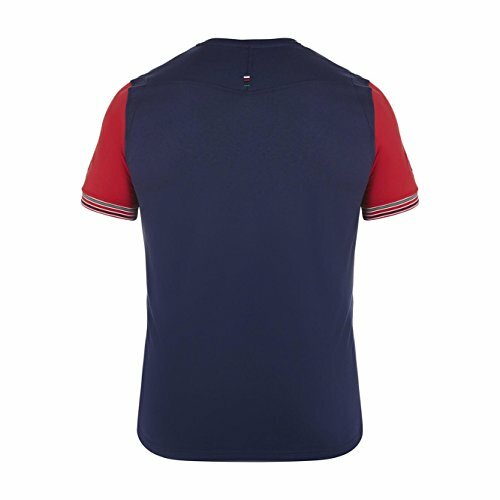 Also available in navy with red sleeves.